Happy Hour--a time, usually between the hours of 6-8, when drinks are offered at reduced prices, encouraging co-workers to mingle outside of the office setting. This is what Happy Hour used to be–back in the 1990’s when people had jobs and could afford to keeping purchasing cocktails long after the drink specials had ended. But with the unemployment rate ticking ever higher, the definition of Happy Hour is changing: it is no longer only a place for the over-worked to release steam, it is also a valuable networking tool for the unemployed to try to find work. And bar/restaurant owners are recognizing this paradigm shift caused by the economic recession, offering better drink prices, extending discounts to include menu items, and even beginning their Happy Hours earlier in the day (before the 9-5er’s are released from their cubicles). As an unemployed college graduate (or stay-at-home-daughter, as I prefer to say), I recognize the valuable opportunity that Happy Hours provide for networking (and budgeting) and I try to make it out to one each week. Of course, I also need to vent my frustrations of failed interviews and wasted cover letters! In my opinion, it’s the best deal in town and like all good things, it draws a consistent crowd. Aka: If you get there after 5 pm expect to sip your delicious martini while standing! 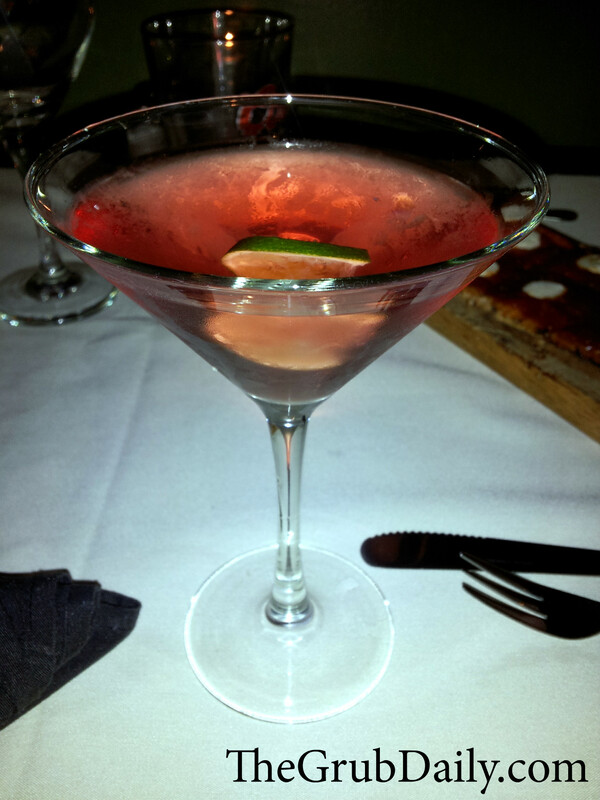 They have an extensive speciality martini list, but I recommend the Grapefruit Bubbling Cosmo with Ruby Red Vodka, Cointreau, Lime Juice, Cranberry Juice, all topped off with a splash of Champagne. It has a perfect blend of citrus without tasting artificial. 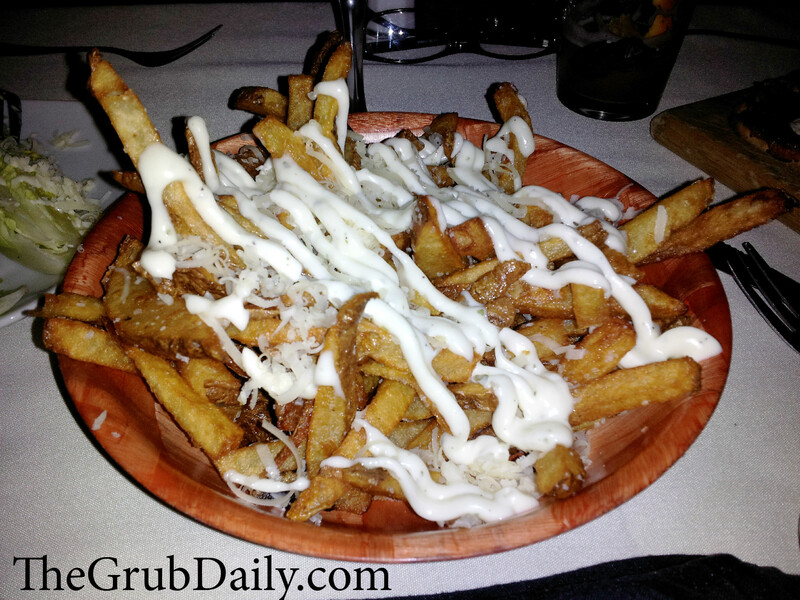 As far as bar food goes, YOU MUST GET THE TRUFFLE FRIES!!! They come topped with Parmesan Cheese and Belgian Aioli and they are to die for! 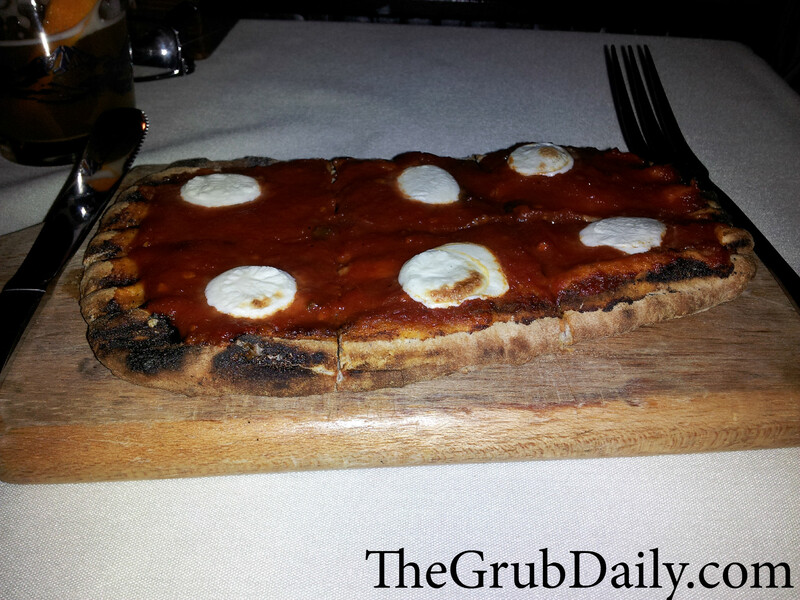 I also really like the flatbreads at this place. The Margarita is very simple but delicious made with fresh mozzarella, fresh basil, oregano, olive oil, and spicy marinara sauce. It’s tasty finger food that is easy to share, and I’ve got to admit that it is better than some of the pizza places I’ve tried in these neck of the woods. 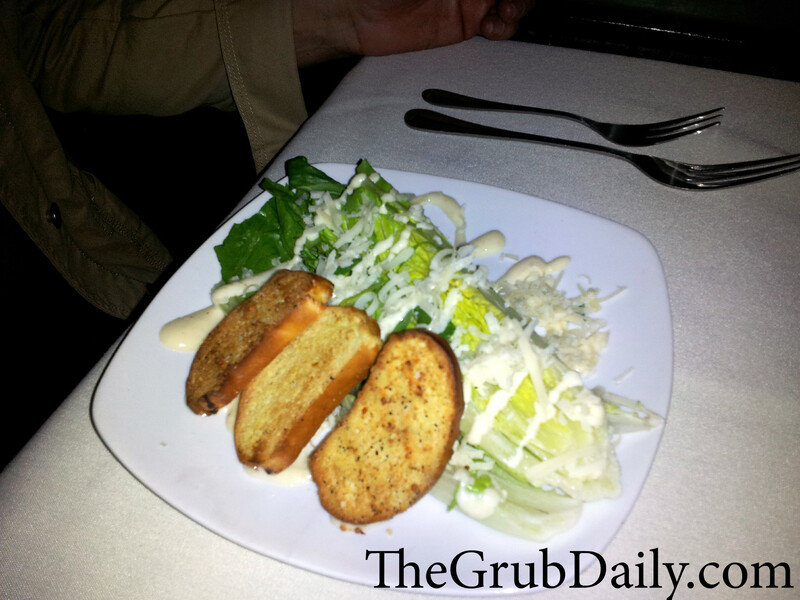 Last but not least, I also tried the Caesar Salad with crisp hearts of romaine and a garlicky brioche crostini, dressed to perfection with a Caesar drizzle. It was a great portion for like $4, which is definitely recession-approved pricing! Although I have only been to the Black Horse Tavern for Happy Hour, I hear from my neighbors that the kitchen also makes fabulous burgers and steaks for dinner. In fact, one of my neighbors said it was one of the best steaks that he has had in years (and this guy is a credible foodie in my book!). 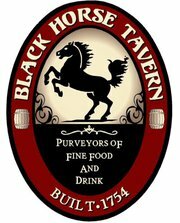 Bottom line: if you are looking to avoid the rather pretentious cougar scene at La Stalla, and you want better bar grub than Isaac Newtons can offer, head to The Black Horse Tavern! You won’t be disappointed.